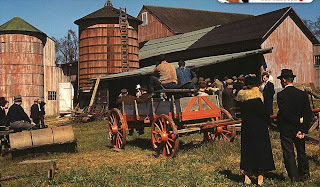 Here's a link to a wonderful collection of early color photographs depicting rural and small-town America from 1939-1943. What a fascinating glimpse into an era we always associate with black-and-white. Fabulous pictures - thanks for posting the link. Those are almost certainly all Kodachrome slides and sheet film. 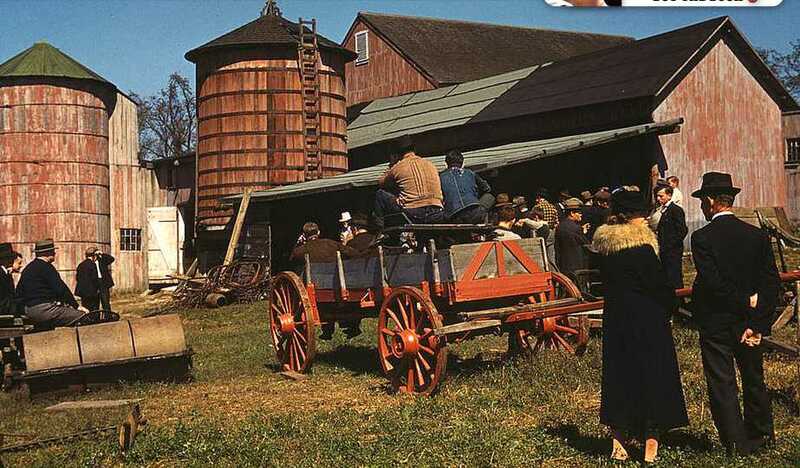 It was one of the first commercial color films, and was, and is still one of the very best. I say "is" because it is so stable. The colors don't fade at all. Alas, it had to be processed in a big, complex lab supervised by a Ph.D chemist, and turnaround time was a week at least. It just couldn't compete with newer, but less stable films that can be processed in minilabs by high school kids in an hour. People have cases of the stuff stored in freezers, and there are still a few boutique labs that process it, last I heard. I've still got Kodachrome slides my Dad took 60 years ago, and the color -- just like these images -- is as brilliant as the day they were processed. Ektachromes I took 35 years ago are almost completely faded to clear film. Today comes an article on precisely this subject! The very last roll of Kodachrome!